11. Patricia Wells- Milwaukee–born Wells gave us France, spreading the bistro love as the Paris–based restaurant critic of L’Express and the Herald Tribune. She taught us—and reminded the French—about Provençal cooking, and… quoi? An American woman is telling the French what to eat? Oui. Born in Milwaukee, Wisconsin. Journalist...author...teacher who runs her own cooking schools in Paris and Provence. Former New York Times reporter...only foreigner and only woman to serve as restaurant critic for a major French publication, L’Express. Global restaurant critic for the International Herald Tribune for more than 25 years. Recipient of several James Beard Awards. Oh yeah, she definitely deserves her slot in the "top 50". I love Patricia Wells cookbooks. I don't actually own any, but I check them out often from my library. I always keep them for as long as I can (renew...use a different card and renew again...) so that I can page through and dream of making a simple country dish from Provence, a traditional Italian pasta, or a heavenly salad. One day I would LOVE to attend her cooking school in Provence. Or Paris. I'm not picky. salad: Cook bacon until done and transfer to paper towel-lined plate to drain. 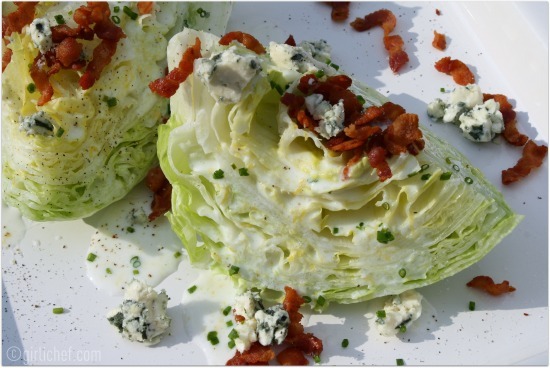 Combine chives, bleu cheese, and bacon with dressing* and spoon evenly over lettuce wedges. Season with salt and plenty of pepper. Serve. *dressing: Combine all ingredients in a jar and shake to blend. Let stand for an hour to allow flavors to blend, or up to three days in the fridge. Shake before using. This is a wonderful and refreshing salad Heather!!! Heather your photos convinced me on this one. No words needed! 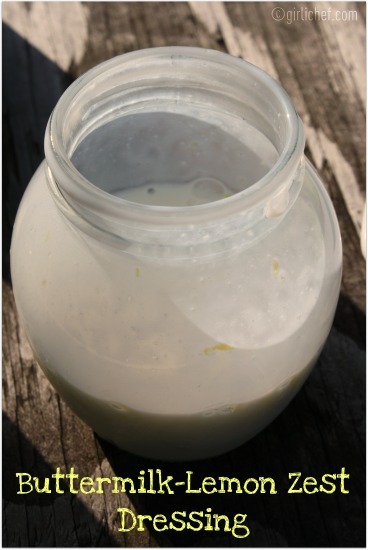 I am especially glad to have that lemon buttermilk dressing recipe because I bake with buttermilk and always have extra sitting in my fridge. I used to eat these 'hearts of lettuce' salads as a kid, and they bring back great memories. I have a Patricia Wells book and I love her recipes from France, and they are quite authentic too! That looks amazing and I do love cabbage, I just made a chou galette recently! I do happily cook from Wells's Bistro Cooking and I am loving that salad - enough to make t tonight. Perfect timing! My, it looks refreshing. I absolutely ADORE wedge salads! I am going to make this. The dressing looks diet friendly too!! Great pick for this week's game-changer. I am loving all of Patricia's salads. What a great dressing! I am a fan of Bibb lettuce and think it would be fantastic with this dressing coating! The bacon and blue cheese? ... little jewels to add to the effect! Perfect! the more I read about Patricia Wells the more impressed I am! i love the dressing recipe..no oil!...i always have excess buttermilk too because i do like to bake with it...i usually buy low fat tho...can't wait to try this! I've dragged my feet on wedge salads. But these photos are too tempting. Nice job, Heather! A beautiful looking salad...so refreshing! Heather, this looks lovely! What a fun cooking project too. :) It's just a salad kind of week. Thanks for linking on up to Friday Potluck. Oh, while we are dreaming, let's go to Provence for school! 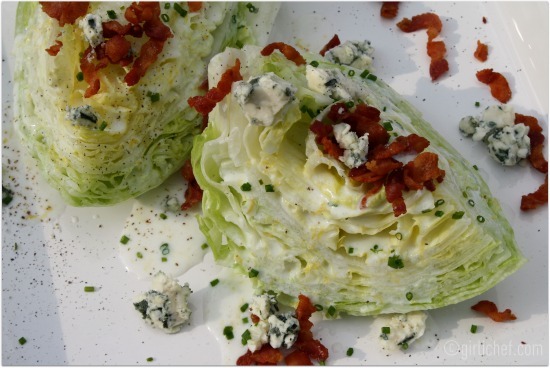 I love blue cheese dressing and this looks so good on the wedge salad! I must try it. Your photo is beautiful, makes me want to jump right in! What a lovely salad,Heather. Her salads are all wonderful. I'm so glad you've joined our band of merry "men". I love how simple but beautiful this salad is. Great tribute to Patricia Wells -would love to take a cooking class with her one day. Love your pick...what a wonderful summery salad! 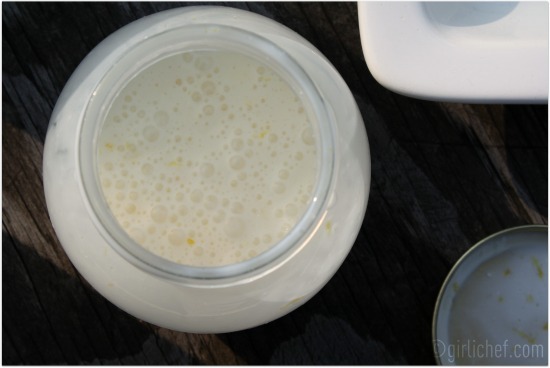 The buttermilk dressing looks so rich and creamy..yum! Have a lovely week-end! Your salad sounds delicious! I love the addition of chives. What a nice tribute to Patricia Wells! This is truly one of my very favorite salads! What a lovely summer salad. Patricia Wells always looks so "together", you know? Seems like an awesome lady. I definitely drooled a bit over this salad whenever I flipped past it in this cookbook! That dressing sounds addictive. I keep picking up "Salad as a Meal" but I keep telling myself not to buy another salad cookbook. ;-) This looks fabulous. She really has some wonderful recipes. Divine! I've had this kind of salad a few times and I don't know why it isn't more popular! I am always looking for way to cut out preservatives out of my diet, maybe salad dressing is the next step. Also never seen a wedge salad. Looks awesome and like a time saver.